Sweet little bites of deliciousness, Nanaimo Bar Bites will transform your Christmas cookie plate. 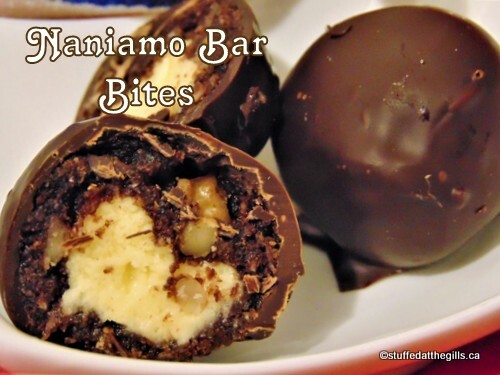 I really like Nanaimo Bars and have a good recipe on this blog. You can read about them here. They are quite Canadian and just about everyone likes them. 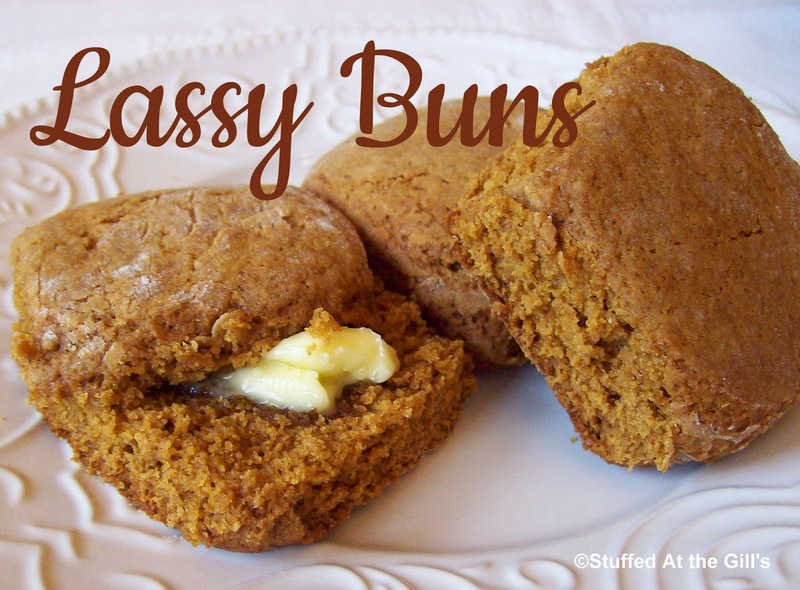 They can be made at home but just about every grocery store or bakery sells them as well. 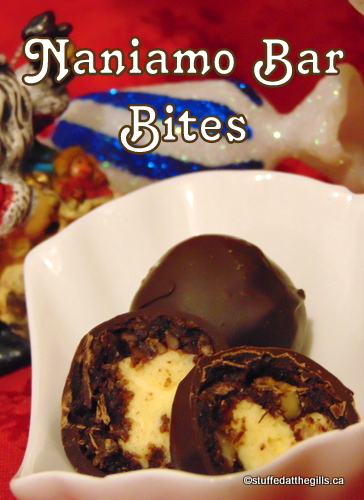 I got to thinking some months ago and thought I'd like to turn the Nanaimo Bars into a ball or truffle-like thing for Christmas--just to make things more difficult for the season, ha, ha. The thought lingered in my mind for months until just this week it came into fruition and Nanaimo Bar Bites were born. And, I must say, I'm pleased with how they turned out. I was able to temper the chocolate which gave them a nice crisp bite into the soft centre. Even without tempered chocolate these will be delicious. Just keep them refrigerated so the chocolate will remain hard when serving. 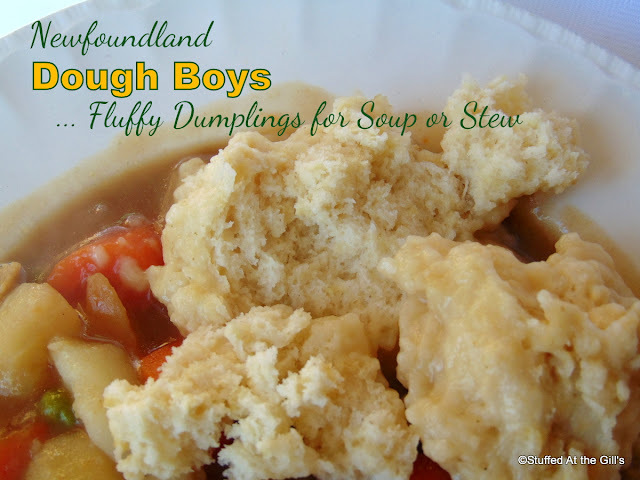 You may think these are fussy to make and you'd be right. It's much easier to make the Nanaimo Bars and be done with them but the little Bites are so easy to serve and those eating them are delighted with the presentation of the bars in a new form. If you've got a few hours to spare, go ahead and make these. You'll be happy you did. The recipe is not quite the same as the bars as the graham mixture has to be moister and the icing a little stiffer. Over low heat place butter, sugar, cocoa, vanilla and eggs in medium sauce pan. Stir well until it becomes warm and starts to thicken. You may use pasteurized whole eggs if you are concerned about raw eggs. 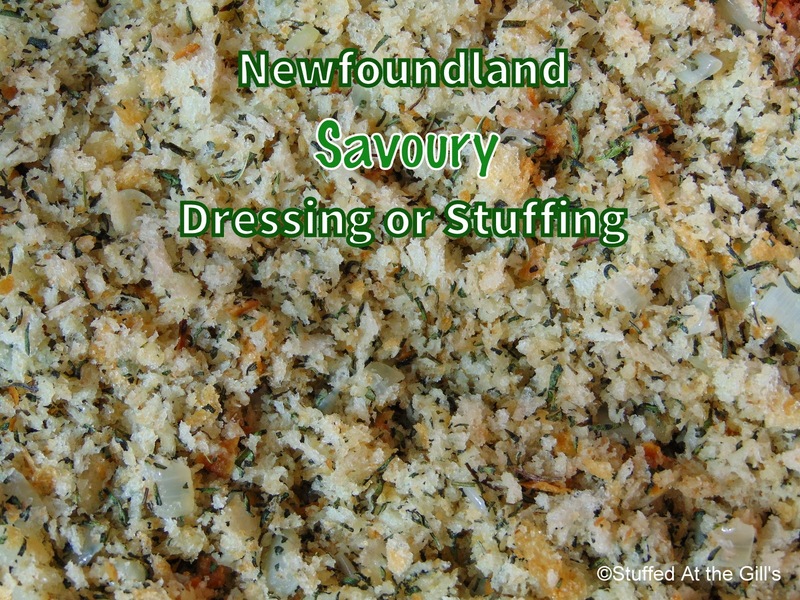 Combine with Graham wafer crumbs, coconut and nuts. Let cool until able to handle. Form the mixture into small balls using a rounded 1½ tablespoon measure. I made 44 but may have been able to get another 3 or 4 if I hadn't tasted the mixture! 😋 Lay the balls aside until ready to fill with the vanilla icing filling. 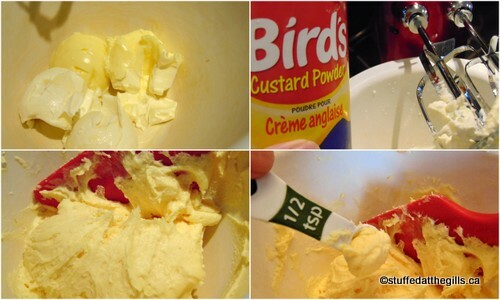 Beat butter, sugar, custard powder, salt and vanilla together adding just enough milk to form a stiff icing. Using a rounded ½ teaspoon measure drop mixture unto a plastic wrap or parchment paper covered cookie sheet. 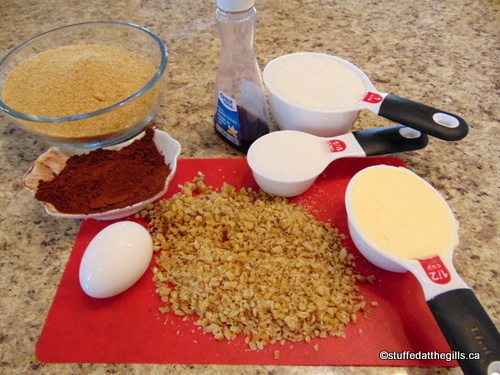 Make as many fillings as you have the graham crumb mixture balls. Freeze 10 and start rolling into balls. You may have to refreeze for another 5 or 10 minutes if the icing becomes soft before you have all the balls formed. 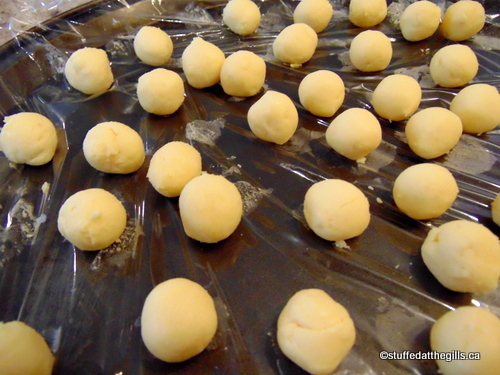 Once all the icing balls are formed place in freezer for 30 minutes. When the icing balls are frozen solid remove from freezer and press into the middle of the graham crumb balls. (See picture below.) If the icing balls begin to get soft return to freezer for a few minutes. When all the balls have been filled, let rest and dry about an hour. If it is warm in your house let them rest in the refrigerator. 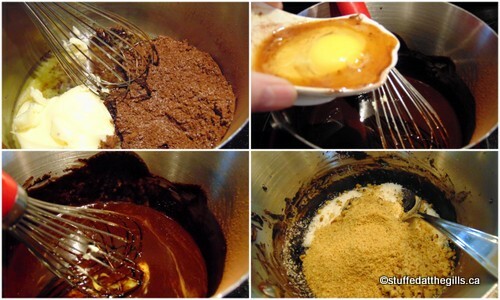 Remove a few minutes before dipping in chocolate. 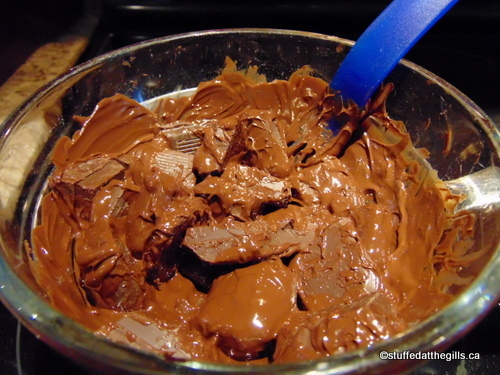 Melt chocolate over very low heat. You may use a double boiler or a heat proof bowl set over simmering water. It is best if you use tempered chocolate but if you do not know how to do this just melt your chocolate. Chocolate chips are good for just melting. You may want to thin out the melted chocolate chips with a tablespoon of shortening. Do not use butter. 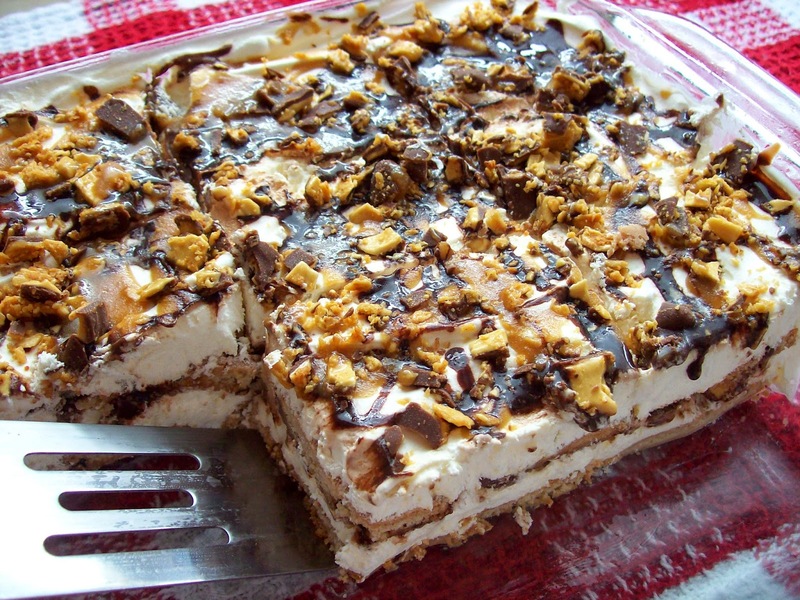 An alternative to chocolate is chocolate candy melts or almond bark. This does not need to be tempered or refrigerated after dipping. 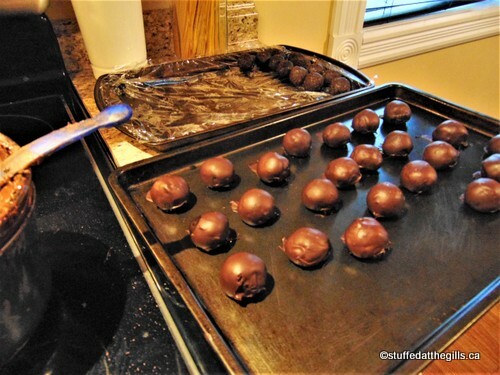 Once the chocolate is melted, dip each ball making sure all the surface is covered. I use a fork for this. Tap off any excess chocolate and slide off unto a flat surface. I use a silicone mat or one of those thin plastic cutting boards. Either one works very well. If using tempered chocolate, the chocolate should set up in a few minutes. Melted chocolate chips or untempered chocolate will have to be refrigerated and may cause streaking in the finished product but this will not affect the taste of the Nanaimo Bar Bites. 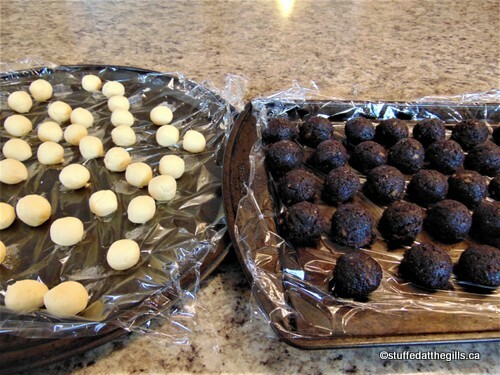 Once the chocolate coating is dry and hard the balls may be transferred to a covered container. 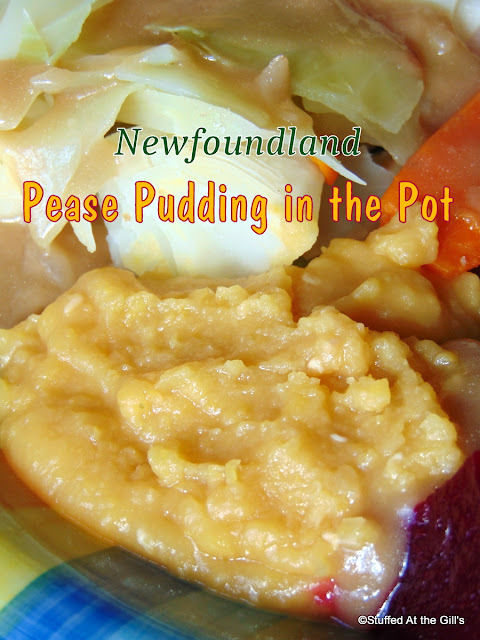 They will keep several weeks in the refrigerator and several months in the freezer. Makes 40-48 balls depending on the size. Prepare the graham crumb ingredients. Make sure the walnuts are finely chopped. 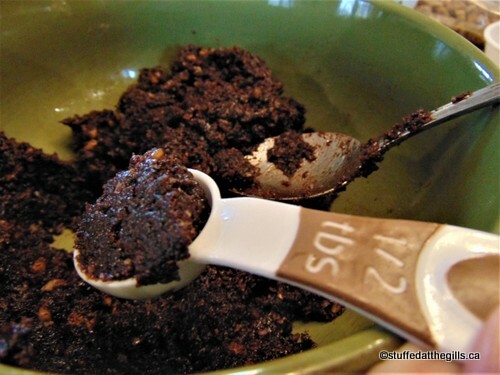 Once cool, form balls out of rounded 1½ tablespoon measure of mixture. Lay the balls aside until icing filling is ready. While crumb mixture is cooling make the icing centres. Beat the butter, icing sugar, custard powder, salt and vanilla together using just enough milk to form a stiff consistency. 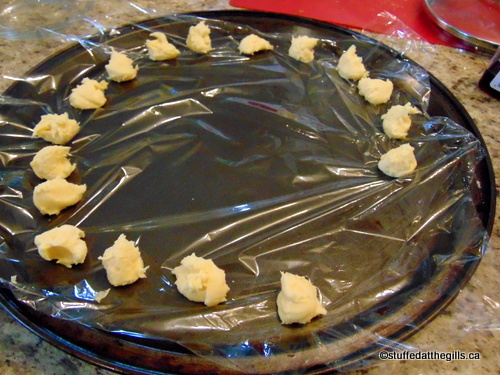 Using a rounded ½ teaspoon measure, drop icing filling unto plastic wrap lined tray. Freeze for 10 minutes and start forming into balls by rolling between palms of hands. If the mixture becomes too soft place back in freezer for a few more minutes and continue rolling. 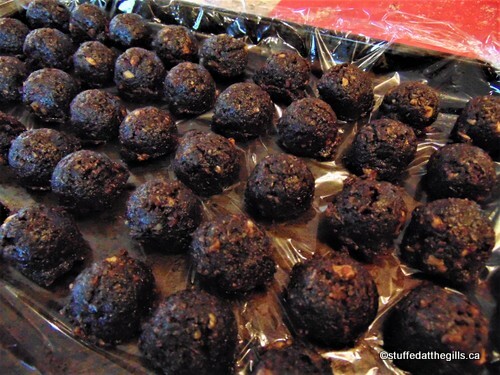 Place the finished balls in the freezer for 30 minutes or until frozen hard and solid. When the icing balls have frozen it's time to start filling the graham balls with the centres. Place a graham ball in the palm of your hand and flatten out. Place a frozen icing ball on top and ease the graham mixture up and around sealing all cracks where the filling may ooze out. The balls should now rest and dry before coating with chocolate. If your room is warm rest them in the refrigerator removing them a few minutes before dipping in the chocolate. While the balls are resting, melt the chocolate over very low heat. I used a heat-proof bowl sitting on top of a pot of barely simmering water. I try to temper the chocolate I use but you can just melt chocolate chips if you wish. 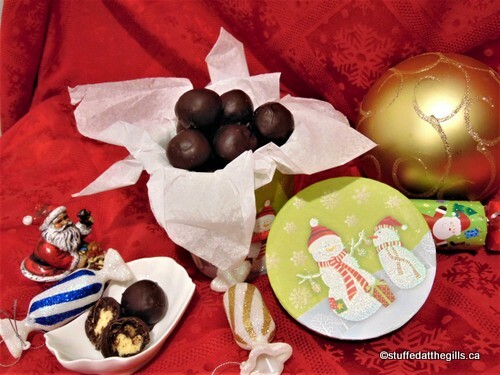 Dip the balls into the melted chocolate, tapping off excess chocolate against the edge of the chocolate bowl. Slip onto a flat tray. Although I used a cookie sheet in this picture I find a silicone mat works wonders when removing the set chocolate. I was quite pleased with the finished product. The chocolate tempered properly (YES!!!) and there is a lovely crack to every bit. 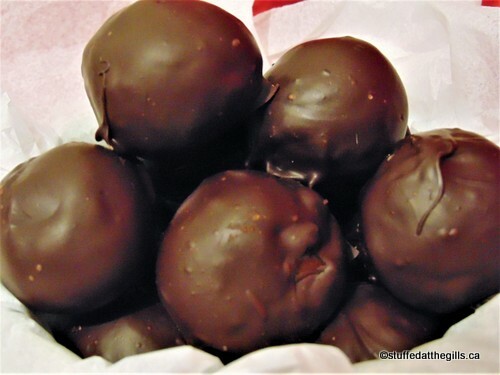 If you use chocolate chips, keep the Bites refrigerated until just before serving. Nanaimo Bar Bites will make a fine addition to your Christmas cookie tray. I love Nanaimo bars but rarely make them because it is hard not to eat the whole pan. These bite-size ones look delightful and would probably freeze well. Last year, on a quest for something different, I dipped my rumballs in dark chocolate instead of rolling them in crumb or chocolate shot. It was worth the effort and I expect these Nanaimo bites will make a nice pairing on my "truffle" plate. I plan to give them a try. Thanks for posting the recipe. I hear you on eating the whole pan of bars, lol. We are certainly enjoying these little Bites. Have a great Christmas.